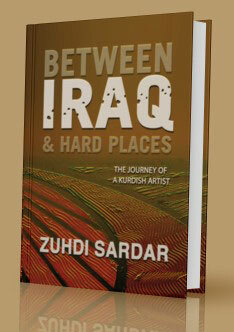 Zuhdi Sardar was born and raised in Sulaymanah, Kurdistan of Iraq. After graduating from high school he studied at the Fine Art Institute in Baghdad, Iraq. Sardar then took a job teaching art in a local high school. 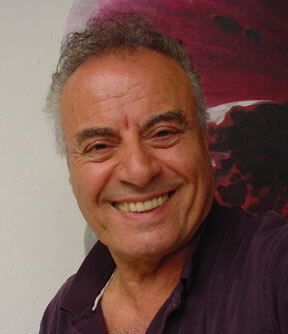 With help from the local art cultural arts center, Sardar came to America in 1964. After two years of living in the States, he was awarded a grant to study at the Academy of Art in Paris. Upon completing his studies in Paris, Sardar returned to the United States and took a job with a local production company. He currently resides in California, where he works for NBC as a scenic artist. Fashioned from the pages of recent history and his own persecutions during the reign of Saddam Hussein, Kurdish artist Zuhdi Sardar paints a canvas of words that - in light of the middle east's recent "Arab Spring" - is both a metaphor of our times and mirror to us all.